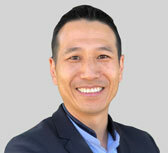 Dr. Stephen K. Aoki, Associate Professor, specializes in hip and knee sports medicine. His clinical practice and research focus on both adult and pediatric sports injuries. Current interests include hip preservation/femoroacetabular impingement in the young adult, hip arthroscopy, the pediatric and adolescent athlete, ACL tears in children, patellar dislocations, and ligament/cartilage knee injuries. Dr. Aoki serves as team physician for University of Utah Gymnastics. He serves as Chair of the University of Utah Residency Selection Committee. Dr. Aoki received his Bachelor of Arts degree through Harvard University. He received his medical doctorate degree from Mount Sinai School of Medicine in New York City and subsequently completed his orthopaedic residency and sports medicine fellowship at the University of Utah. Dr. Aoki practices both at the University Orthopaedic Center and Primary Children´s Hospital. Hip Arthroscopy, Femoroacetabular Impingement, Labral Repair, Gluteus Tendon Repair, Hamstring Repair, Hip Preservation, Pediatric and Adult ACL Reconstructions, Patella Dislocations, Pediatric Sports Injuries, Osteochondritis Dissecans, Cartilage and Meniscus Tears. Wylie JD, Beckmann JT, Maak TG, Aoki SK (2016). Arthroscopic Capsular Repair for Symptomatic Hip Instability After Previous Hip Arthroscopic Surgery. Am J Sports Med, 44(1), 39-45. Anderson LA, Anderson MB, Kapron A, Aoki SK, Erickson JA, Chrastil J, Grijalva R, Peters C (2016). The 2015 Frank Stinchfield Award: Radiographic Abnormalities Common in Senior Athletes With Well-functioning Hips but Not Associated With Osteoarthritis. Clin Orthop Relat Res, 474(2), 342-52. Beckmann JT, Wylie JD, Potter MQ, Maak TG, Greene TH, Aoki SK (2015). Effect of Naproxen Prophylaxis on Heterotopic Ossification Following Hip Arthroscopy: A Double-Blind Randomized Placebo-Controlled Trial. J Bone Joint Surg Am, 97(24), 2032-7. Swenson KM, Erickson J, Peters C, Aoki SK (2015). Hip pain in young adults: Diagnosing femoroacetabular impingement. JAAPA, 28(9), 39-45. Hanson JA, Kapron AL, Swenson KM, Maak TG, Peters CL, Aoki SK (2015). Discrepancies in measuring acetabular coverage: revisiting the anterior and lateral center edge angles. J Hip Preserv Surg. Kullar RS, Kapron AL, Ihnat D, Aoki SK, Maak TG (2015). Acetabular paralabral cyst: an unusual cause of femoral vein compression. Arthrosc Tech, 4(1), e35-40. Haller JM, Beckmann JT, Kapron AL, Aoki SK (2015). Detection of a traumatic arthrotomy in the pediatric knee using the saline solution load test. J Bone Joint Surg Am, 97(10), 846-9. Kapron AL, Aoki SK, Peters CL, Anderson AE (2015). In-vivo hip arthrokinematics during supine clinical exams: Application to the study of femoroacetabular impingement. J Biomech, 48(11), 2879-86. Wylie JD, Abtahi AM, Beckmann JT, Maak TG, Aoki SK (2015). Arthroscopic and imaging findings after traumatic hip dislocation in patients younger than 25 years of age. J Hip Preserv Surg, (0), 1-7. Kapron AL, Peters CL, Aoki SK, Beckmann JT, Erickson JA, Anderson MB, Pelt CE (2015). The prevalence of radiographic findings of structural hip deformities in female collegiate athletes. Am J Sports Med, 43(6), 1324-30. Wylie JD, Hartley MK, Kapron AL, Aoki SK, Maak TG (2015). What is the effect of matrices on cartilage repair? A systematic review. Clin Orthop Relat Res, 473(5), 1673-82. Shea KG, Polousky JD, Jacobs JC Jr, Ganley TJ, Aoki SK, Grimm NL, Parikh SN (2015). The patellar insertion of the medial patellofemoral ligament in children: a cadaveric study. J Pediatr Orthop, 35(4), e31-5. Wylie JD, Beckmann JT, Maak TG, Aoki SK (2015). Arthroscopic treatment of mild to moderate deformity after slipped capital femoral epiphysis: intra-operative findings and functional outcomes. Arthroscopy, 31(2), 247-53. Hung M, Hon SD, Cheng C, Franklin JD, Aoki SK, Anderson MB, Kapron AL, Peters CL, Pelt CE (2014). Psychometric Evaluation of the Lower Extremity Computerized Adaptive Test, the Modified Harris Hip Score, and the Hip Outcome Score. Orthopaedic Journal of Sports Medicine. Shea KG, Polousky JD, Jacobs JC Jr, Ganley TJ, Aoki SK, Grimm NL, Parikh SN (2014). The relationship of the femoral physis and the medial patellofemoral ligament in children: a cadaveric study. J Pediatr Orthop, 34(8), 808-13. Jimenez CL, Beebe MJ, Maak TG, Aoki SK (2014). Acute severe hip pain associated with labral calcific deposition disease. Orthopedics, 37(12), e1137-40. Kapron AL, Aoki SK, Peters CL, Anderson AE (2014). Subject-specific patterns of femur-labrum contact are complex and vary in asymptomatic hips and hips with femoroacetabular impingement. Clin Orthop Relat Res, 472(12), 3912-22. Beckmann JT, Wylie JD, Kapron AL, Hanson JA, Maak TG, Aoki SK (2014). The Effect of NSAID Prophylaxis and Operative Variables on Heterotopic Ossification After Hip Arthroscopy. Am J Sports Med, 42(6), 1359-64. Potter MQ, Sun GS, Fraser JA, Beckmann JT, Swenson JD, Maak TG, Aoki SK (2014). Psychological distress in hip arthroscopy patients affects postoperative pain control. Arthroscopy, 30(2), 195-201. Potter MQ, Wylie JD, Sun GS, Beckmann JT, Aoki SK (2014). Psychologic distress reduces preoperative self-assessment scores in femoroacetabular impingement patients. Clin Orthop Relat Res, 472(6), 1886-92. Kapron AL, Aoki SK, Peters CL, Maas SA, Bey MJ, Zauel R, Anderson AE (2014). Accuracy and feasibility of dual fluoroscopy and model-based tracking to quantify in vivo hip kinematics during clinical exams. J Appl Biomech, 30(3), 461-70. Price SL, Farukhi MA, Jones KB, Aoki SK, Randall RL (2013). Complications of cemented long-stem hip arthroplasty in metastatic bone disease revisited. Clin Orthop Relat Res, 471(10), 3303-7. Rothberg DL, Kubiak EN, Peters CL, Randall RL, Aoki SK (2013). Reducing the risk of bone cement implantation syndrome during femoral arthroplasty. Orthopedics, 36(4), e463-7. Aoki SK, Grimm NL, Ewing CK, Klatt JB, Shea KG (2013). Metaphyseal Screw Migration After Medial Patellofemoral Ligament Reconstruction in a Skeletally Immature Patient. J Bone Joint Surg Am, 27(3 (1)), 1-4. Aoki SK, Beckmann JT, Wylie JD (2012). Hip arthroscopy and the anterolateral portal: avoiding labral penetration and femoral articular injuries. Arthrosc Tech, 1(2), e155-60. Peters CL, Aoki SK, Erickson JA, Anderson LA, Anderson AE (2012). Early experience with a comprehensive hip preservation service intended to improve clinical care, education, and academic productivity. Clin Orthop Relat Res, 470(12), 3446-52. Davis JJ, Swenson JD, Kelly S, Abraham CL, Aoki SK (2012). Anatomic changes in the inguinal region after hip arthroscopy: implications for femoral nerve block. J Clin Anesth, 24(7), 590-2. Kapron AL, Anderson AE, Peters CL, Phillips LG, Stoddard GJ, Petron DJ, Toth R, Aoki SK (2012). Hip internal rotation is correlated to radiographic findings of cam femoroacetabular impingement in collegiate football players. Arthroscopy. Grimm NL, Shea KG, Leaver RW, Aoki SK, Carey JL (2012). Efficacy and Degree of Bias in Knee Injury Prevention Studies - A Systematic Review of RCTs. Clin Orthop Relat Res. Anderson LA, Kapron AL, Aoki SK, Peters CL (2012). Cox Profunda: Is the Deep Acetabulum Overcovered? Clin Orthop Relat Res. Aoki SK, Beckmann JT, Wylie JD (2012). Hip Arthroscopy and the Anterolateral Portal: Avoiding Labral Penetration and Femoral Articular Injuries. Arthroscopy. Klatt, JB and Aoki SK (2012). The location of the medial humeral epicondyle in children: position based on common radiographic landmarks. J Pediatr Orthop, 32(5), 477-82. Wilcox JJ, Snow BJ, Aoki SK, Hung M, Burks RT (2012). Does Landmark Selection Affect the Reliability of the TT-TG Measurement Using MRI? Clin Orthop Relat Res, 470(8), 2253-60. Aoki SK, Curtis SH (12/1/2011). Biomechanical Evaluation of Tibial Eminence Fractures Using Suture Fixation. Orthopedics, 34(12). Kapron AL, Anderson AE, Aoki SK, Phillips LG, Petron DJ, Toth R, Peters CL (10/5/2011). Radiographic Prevalence of Femoroacetabular Impingement in Collegiate Football Players. J Bone Joint Surg Am, 93-A(19), e111(1-10). Aoki SK, Anderson LA, Marchese JW (2011). Recession Wedge Osteotomy of the Greater Tuberosity for Proximal Humeral Varus. Orthopedics, 34(5), 398. Petron DJ, Greis PE, Aoki SK, Black S, Krete D, Sohagia KB, Burks RT (2010). Use of knee magnetic resonance imaging by primary care physicians in patients aged 40 and older. Sports Health: a multidisciplinary approach, 2(5), 385-390. Stevens P, Aoki SK, Olson PR (2006). Ball and Socket Ankle. Journal of Pediatric Orthopaedics, 26(4), 427-31. Randall RL, Aoki SK, Olson PR, Bott SI (2006). Complications of cemented long-stem hip arthroplasties in metastatic bone disease. Clin Orthop Relat Res, 443, 287-95. Wylie JD, Hartley MK, Kapron AL, Aoki SK, Maak TG (2016). Failures and Reoperations After Matrix-Assisted Cartilage Repair of the Knee: A Systematic Review. [Review]. Arthroscopy, 32(2), 386-392. Grimm NL, Weiss JM, Kessler JI, Aoki SK (2014). Osteochondritis Dissecans of the Knee: Pathoanatomy, Epidemiology, and Diagnosis. [Review]. Clin Sports Med, 33(2), 181-188. Shea KG, Grimm NL, Ewing CK, Aoki SK (2011). Youth sports anterior cruciate ligament and knee injury epidemiology: who is getting injured? In what sports? When? [Review]. Clinical Sports Medicine, 30(4), 691-706. Beckmann JT, Maak TG, Aoki SK (1/1/2015). Hip Arthroscopy: Peritrochanteric Space Access. In Nho SJ, Leunig M, Larson CM, Bedi A, Kelly BT (Eds. ), Hip Arthroscopy and Hip Preservation Surgery (1st). Springer. Gililland JM, Webber NP, Jones KB, Randall RL, Aoki SK (2011). Intratendinous tophaceous gout imitating patellar tendonitis in an athletic man. Orthopedics, 11(34), 3. Hamblin T, Curtis SH, DAstous J, Aoki SK (2010). Childhood Obesity and Low-Velocity Knee Dislocation in a Fifteen-Year-Old Girl: A Case Report. J Bone Joint Surg Am, 92, 2213-2219. Beals TC, Severson EP, Kinikini D, Aoki SK (2009). Complex Achilles Reconstruction for Massive Soft Tissue Loss: Allograft, Autograft, and Use of a Temporary Cement Spacer. J Orthop Trauma.